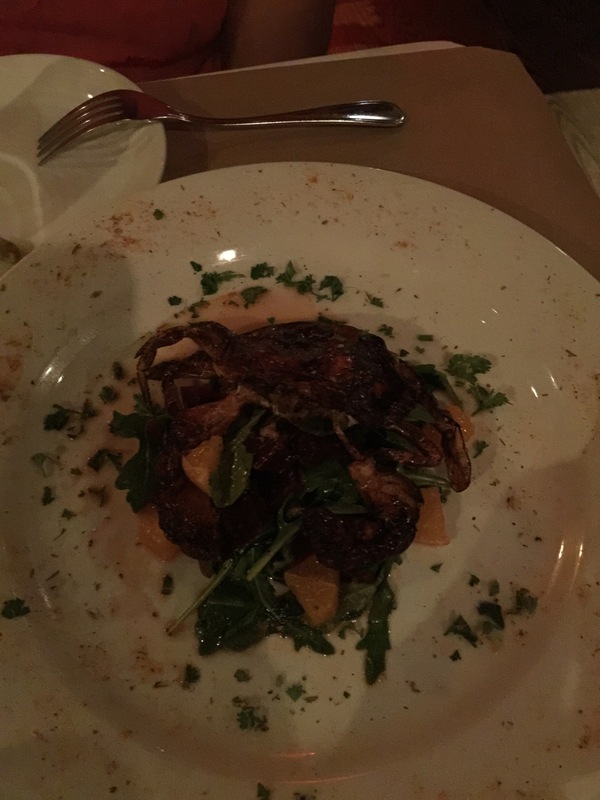 After having been to Blue (on Staten Island) many times, I was really excited to bring Justin for date night. 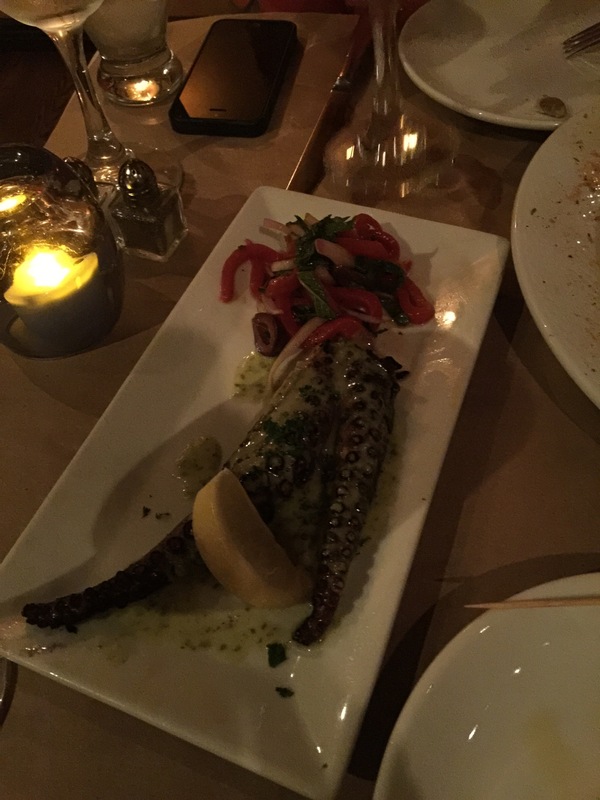 Reminiscing about the delicious charred octopus and outrageous ginger fried rice, I was certain he would have a fantastic time. We arrived on Friday night at about 7:30. Like their counterparts, Beso and Bayou, Blue does not accept reservations (grrrr) and we were met with a 45-minute wait. Luckily, Blue has a nice spacious bar and seating area to wait in, so we didn’t mind so much. 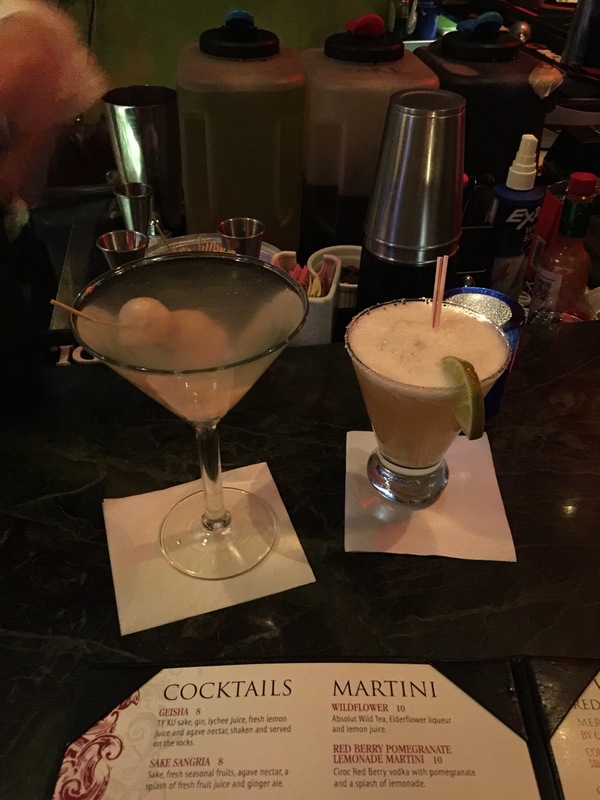 We sat at the bar and ordered our cocktails, a Margarita grand for Justin, and a lychee martini for myself. 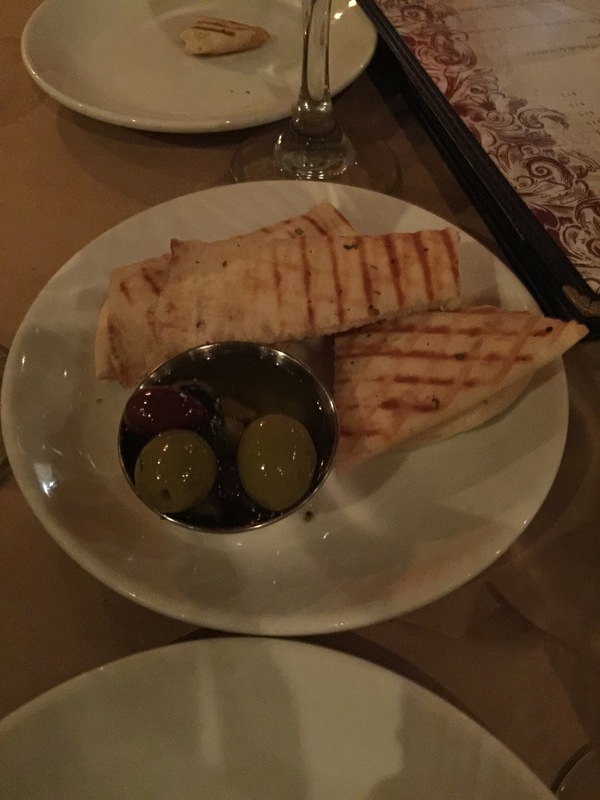 The bread they bring out while you peruse the menu, with an olive and raisin dipping oil, was great. 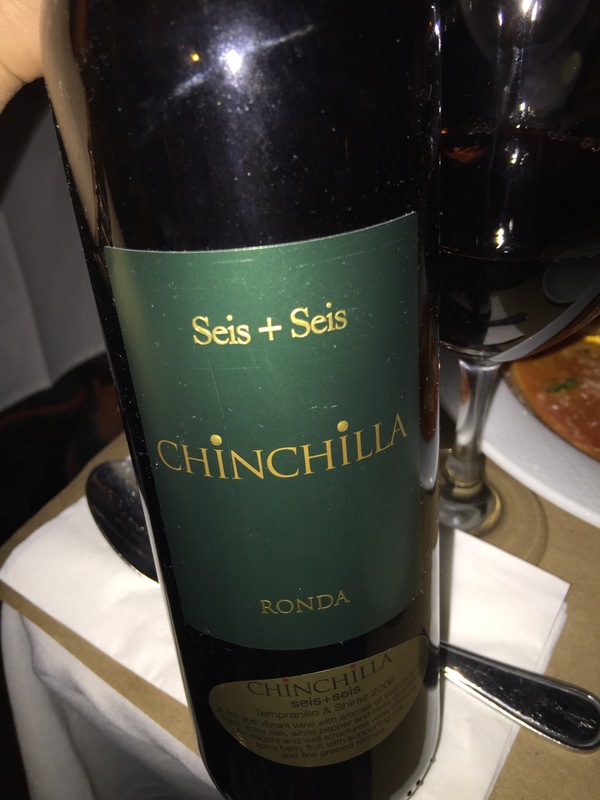 Our bottle of wine, Chinchila – a blended option, was very good. 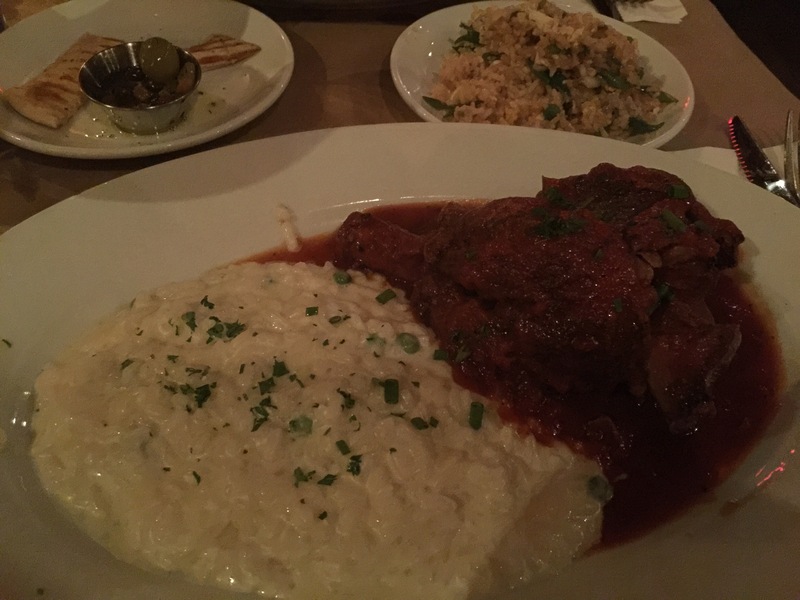 I did the lamb shank with cheese risotto. 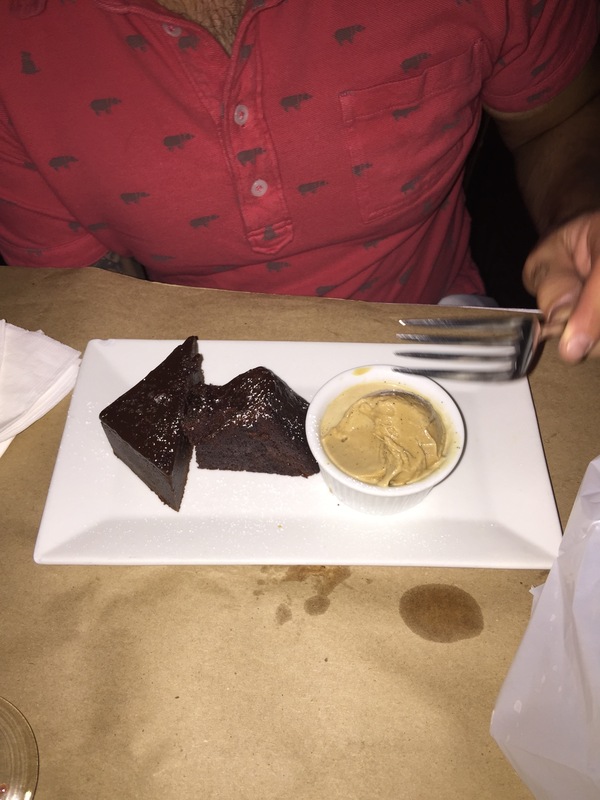 The side was again the best part of the dish. I also ordered a side of the ginger fried rice, remembering it as the highlight of past meals I’d had at Blue. I remembered the unusual and subtle gingery/curry flavor and insisted that Justin would love it. Disappointingly, our fried rice came out tasting like any other regular fried rice with way too much soy sauce on it. 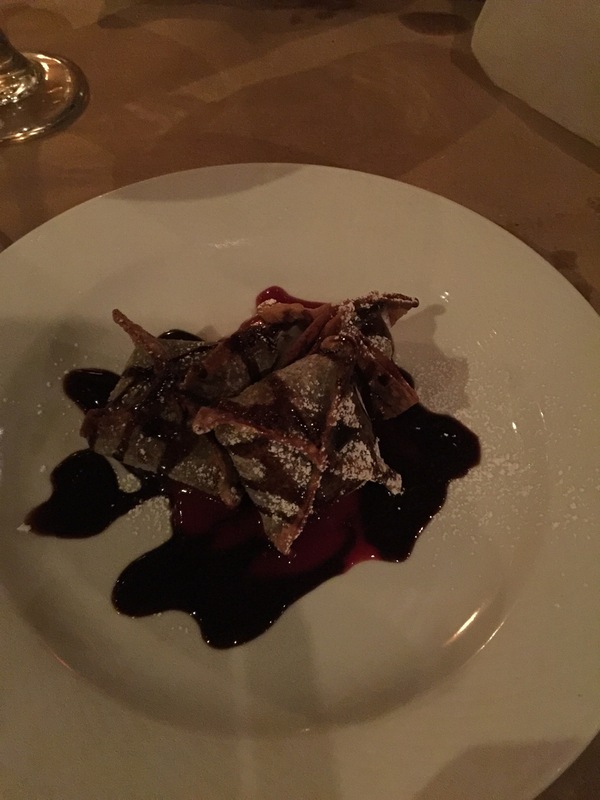 Our desserts (fried Nutella wontons and chocolate cake) were good. The service was good, the wait time at the bar was only about 20 minutes compared with the 45 they had told us it would be. Our waiter was attentive without being overbearing. Our waters were refilled promptly. 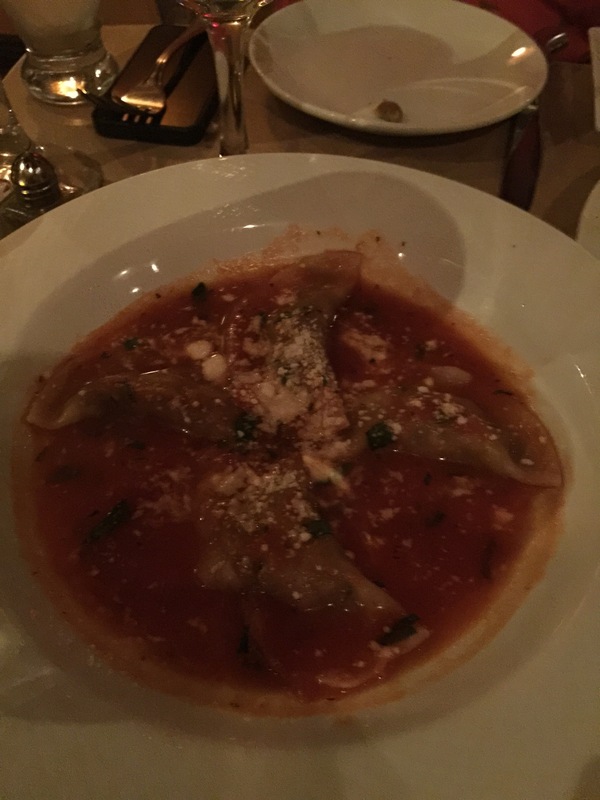 Food was brought out at a good and steady pace without being too rushed. 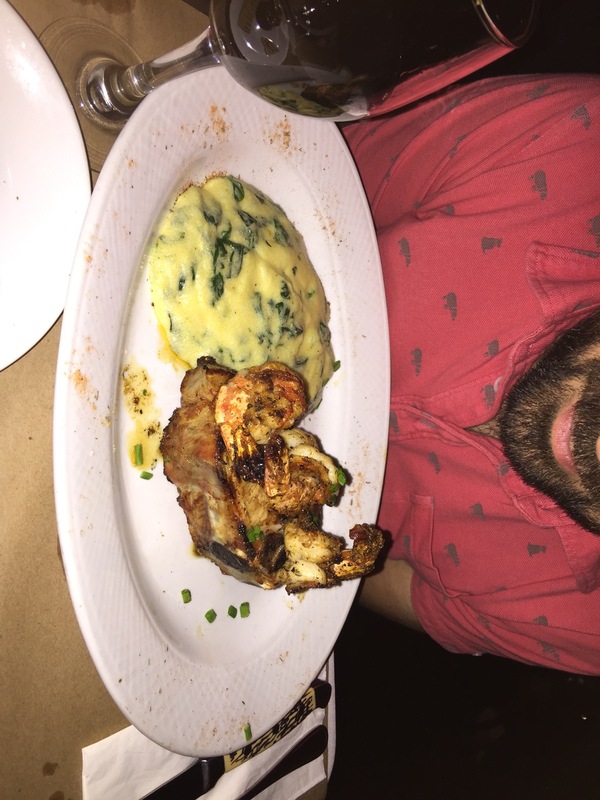 And the quality of the food was good. All in all, Blue earned a 3 star Baconboozer rating. Everything was good. The disappointment came from my previous excellent experiences at this place. I had talked it up so much to Justin and felt that it simply did not live up to my memories. Someone famous (really not sure who) once said something like, “lack of consistency can bring on a lack of interest,” and I am sad to say that this is now the case for me and Blue.